New Age Looping for e-readers! Read on for details. Almost 20 years ago, a friend gave me a kit for a small knotless netting pouch. I couldn’t make heads or tails of the directions. Turns out, I was doing knotted netting. I made the same mistake (and a few others) for a couple of years before I figured out what I was doing. I gleaned what I could from a paragraph here and there in out-of-print books, but couldn’t find anything in print for people who wanted me to recommend a book on looping, So I wrote one. The print book is 116 pages packed with illustrations and spiral bound so it lies flat. In-depth instructions help you master tension control and shaping so you can create bags, garments, vessels and more. 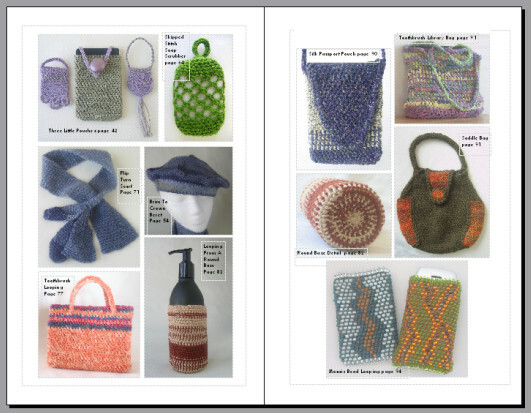 With instructions that emphasize ways to adapt a basic idea to suit your own style and materials, you learn to design looping projects of your own. The book was written to give readers a progressive learning experience. One skill leads to the next in a series of samples and projects. It can stand on its own, or be used in conjunction with a New Age Looping eCourse. I’m now in the process of adapting material from this book and from classes I teach for e-readers and mobile devices. It’s been a learning experience, since there are so many formatting options for all the devices available now. 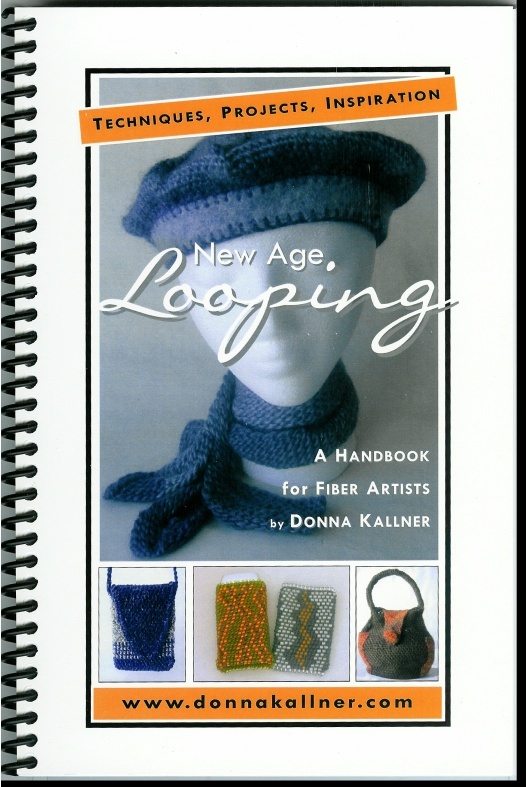 For starters, I excerpted one chapter from the print book and adapted it into New Age Looping: Skipped Stitch Patterns, which is available on Smashwords and as a PDF digital download on Etsy. That taught me a lot about formatting, and about what I want to offer in an e-book experience. 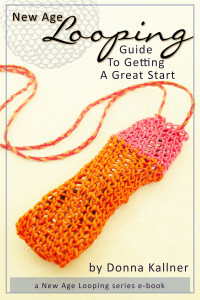 With New Age Looping: Guide To Getting A Great Start, I’ve taken elements from the print book but added links to right-handed and left-handed video demonstrations and new, fully illustrated sample projects. That e-book is now available for Kindle on Amazon, for other readers on Smashwords, and as a PDF digital download on Etsy. When I wrote the print book, I had to leave out the chapter on Freeform Looping or the book would have been too thick to bind. Now, I’m having to keep file sizes lean for digital downloading. That means there will be a series of New Age Looping e-books rather than one all-inclusive volume. Next up is an e-book that includes round and oval bases and flat panels. 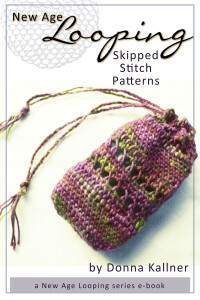 After that, look for mosaic bead looping, freeform, cross-knit looping, and other variations. Thank you to all the people from around the world who have added the print edition to their fiber art libraries. And to those of you who’ve been waiting (and waiting, and waiting…) for the e-books, thanks for your patience!